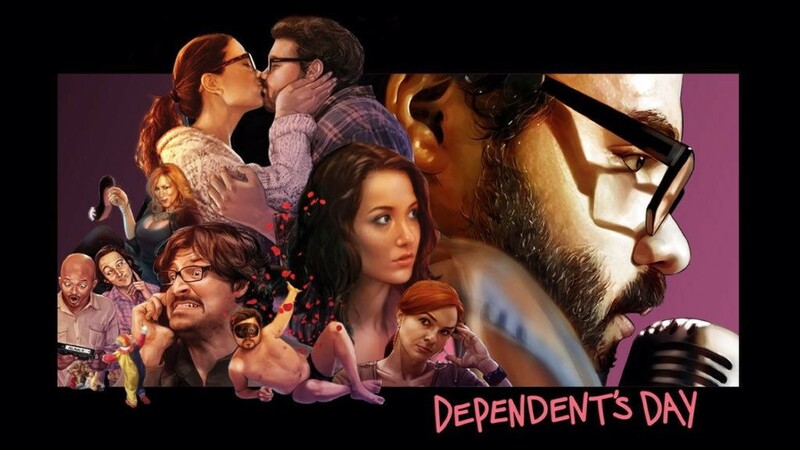 Review: Dependent’s Day / It's Just Movies Review: "Dependent's Day"
I would like to tell you about a movie that lassoed my head — and heart — and charmed me for its entire duration. I laughed hysterically, and even cried in bewilderment. It’s called “Dependent’s Day.” Yes, it is a romantic comedy, and yes, it is raunchy at times. Yet, this movie totally enthralled me, and I realized it was because it was different, it was real, and it had heart. Written and directed by Michael David Lynch, “Dependent’s Day” tells the story of Cam and Alice, a couple that seems unlikely to their world. Their unique and unpredictable relationship is what enticed me the most about this movie. I rooted for them and I felt for them. I found myself feeling protective of them and anxious with all the odds they faced. On a personal note, I found it interesting how the roller coaster of emotions I felt watching this movie actually caused some self-analyzing of my heart and life decisions. I am not certain if this was the intention of the director, or if this film is based on some of his personal experiences, but I can say it has lots of heart, and it overflows with a real sincerity I highly appreciate. 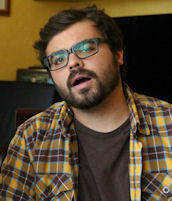 The protagonist of our story is Cam, played by multi-talented actor, writer and director Joe Burke (“Run,” “Four Dogs.”). Cam hasn’t had much luck with his job search and is stuck with a party clown job he hates. He really wants his big break as an actor and will never be dissuaded from his dream. He will stop at nothing and miss no opportunity, all the while trying to keep whatever dignity as a man he may have. He is, after all, not the breadwinner of the house and his girlfriend declares him as his dependent (thus the film’s title). At first, it is hard to believe that someone like Alice, played by Benita Robledo (of the “Teen Wolf” and “Agent Carter” TV series) would actually be with this guy. Her friends don’t understand why she is with him, nor do her co-worker or even her parents. She is talented, successful and beautiful — the ying to Cam’s yang. They are complete opposites, yet this is what makes their relationship so perfectly magnetic. The audience gets to see a side of them outsiders don’t. We get an inside look and soon learn why they are so special, and so in love. I must admit I found myself rooting for Cam in this underdog story. Burke truly put his heart into this part and was truly a breath of fresh air. He was hilarious as well as relatable. He was goofy, and yet he was able put a little of all of us into his character. In addition, Robledo satisfyingly interpreted the best girlfriend all us normal guys wish for. Her sincere love for Cam was truly believable and not just any actress could have pulled this off. She was perfectly cast and I tip my hat to this amazing team of people that made this independent film a reality. It deserves to be recognized and enjoyed for all its heart and its beautifully entertaining story. It will make you laugh and it will make you feel good. I would love to see more of Cam and Alice in a future installment and I was sincerely sad to see the movie end. “Dependent’s Day” — which premiered at the Cinequest Film Festival on March 5 — also stars Shannon Lucio, Erin Pineda, Jules Willcox, David August, Eugene Bryd, Brian George, Todd Bridges, Charlie Hofheimer, Zachary Alexander Rice, Lisa Ann Walter, Javier Ronceros, Bertilla Damas, Jason Lew and Josh Staman.